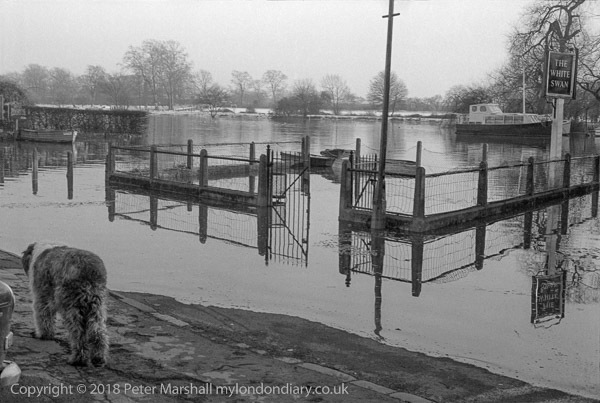 Earlier on that same walk we had passed the beer garden of the White Swan, usually on the river bank but now a part of it, and this is another of the several pictures I took there, opposite the end of Eel Pie Island, where a boat is moored. Although I think much of the flood water was probably from melting snow, you can still see snow on the ground across on the other bank of the Thames. The river here is still tidal, and flooding at high spring tides isn't unusual. I took a number of frames here, of which I think this is probably the best.